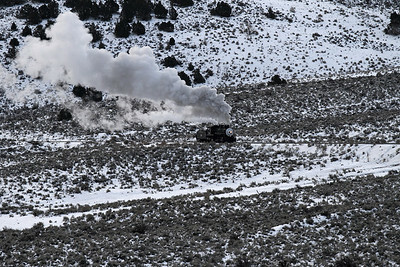 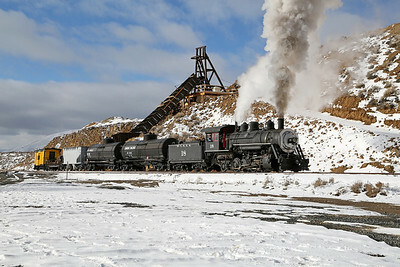 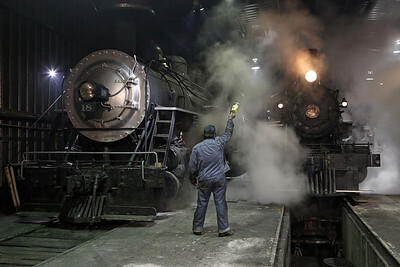 Photos from February 2014, featuring Virginia & Truckee 2-8-0 #29 (Baldwin built 1916) and McCloud River Railroad 2-8-2 #18 (Baldwin 1914). 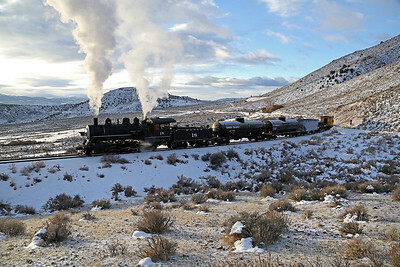 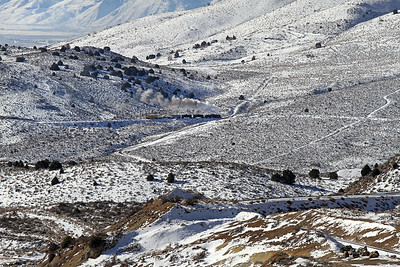 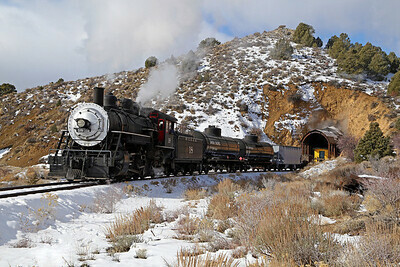 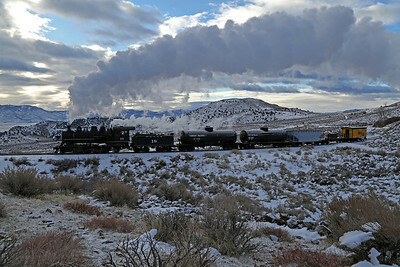 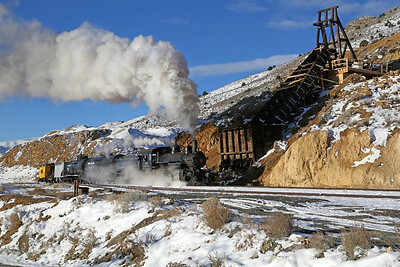 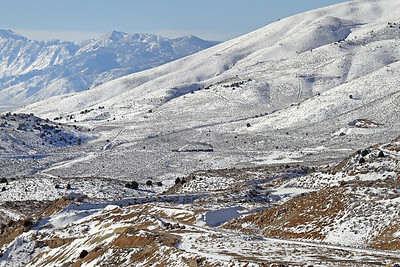 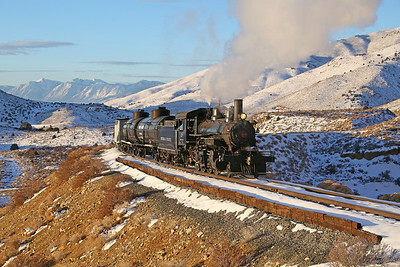 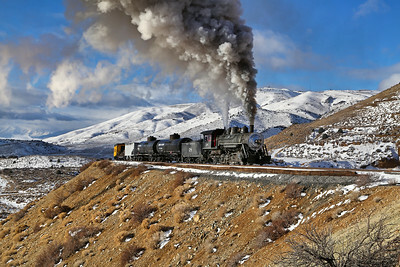 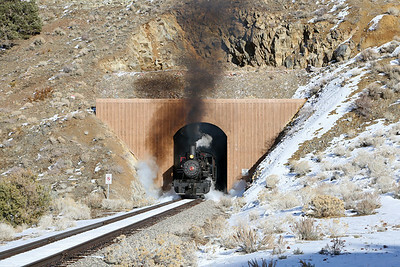 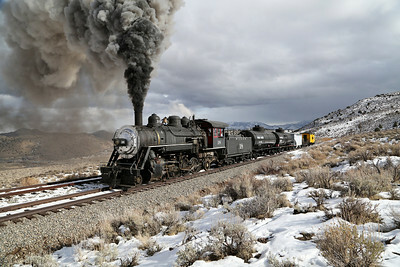 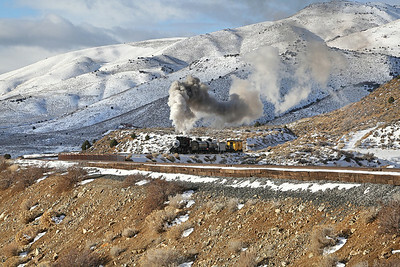 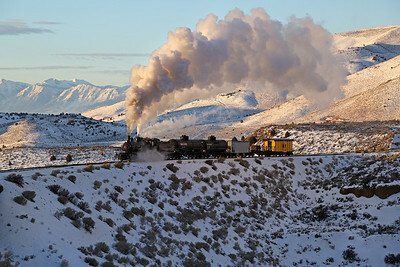 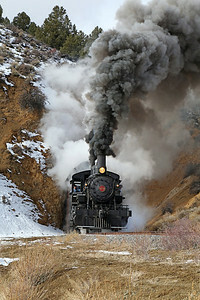 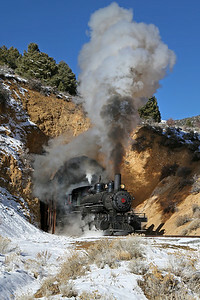 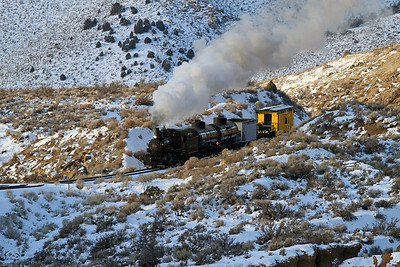 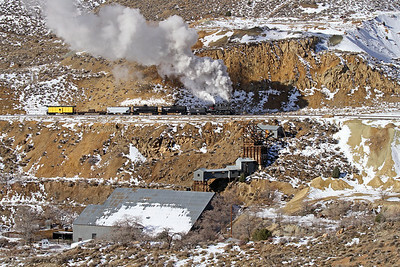 The Virginia & Truckee opened in 1870 to transport ore from mine to mill between Virginia City and Carson City, Nevada. 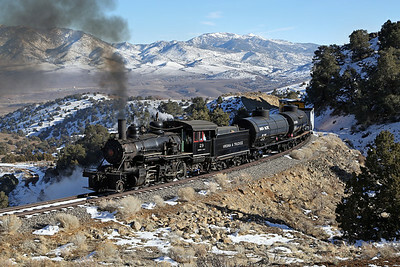 After once operating 40 trains per day as the "richest railroad in the world" (a reference to the vast mineral wealth carried), the V&T ceased service to Virginia City by 1938 due to mining declines and highway development. 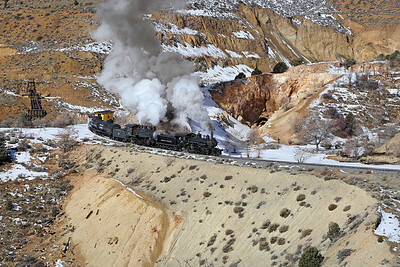 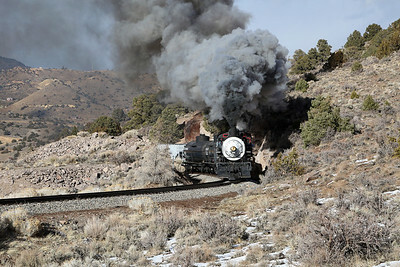 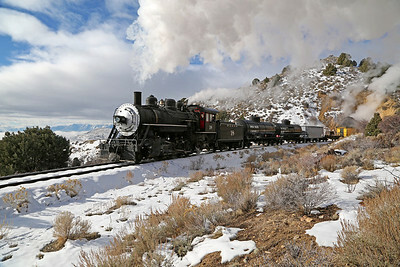 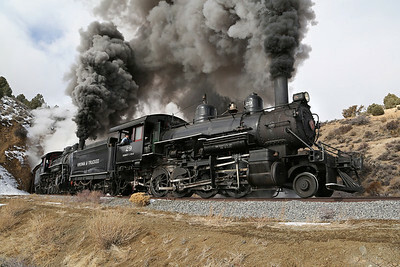 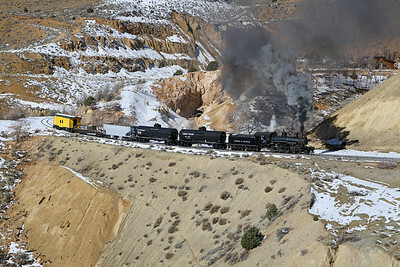 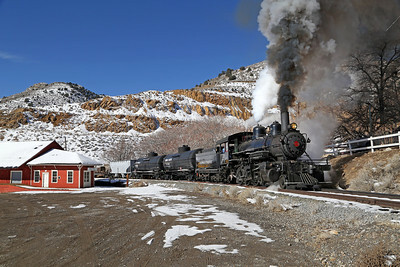 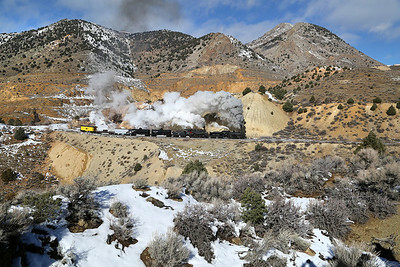 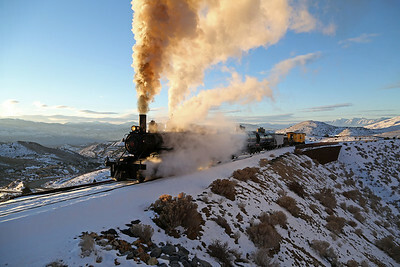 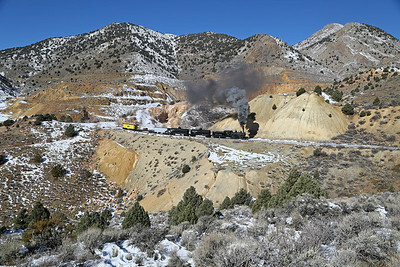 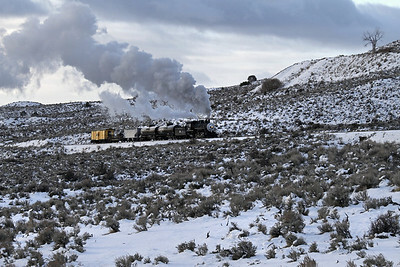 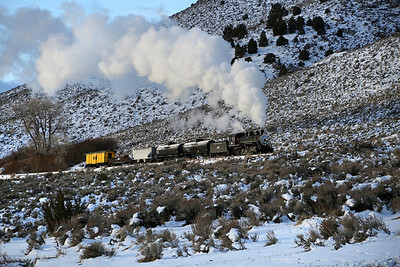 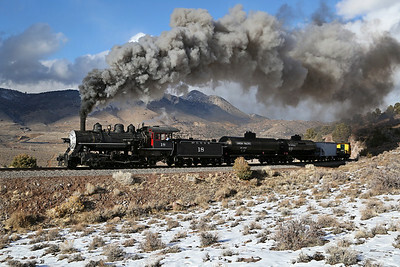 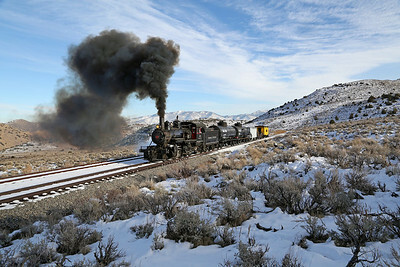 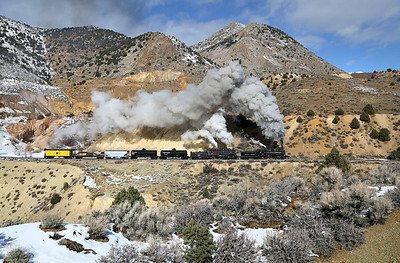 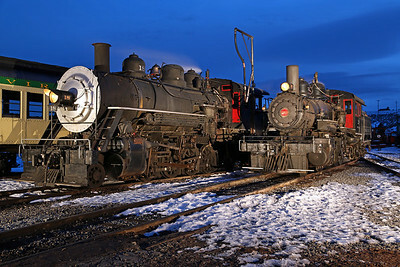 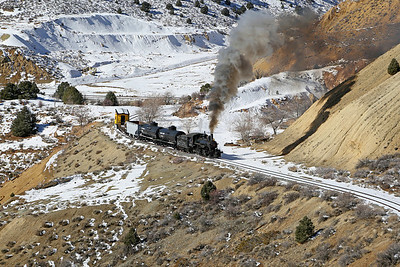 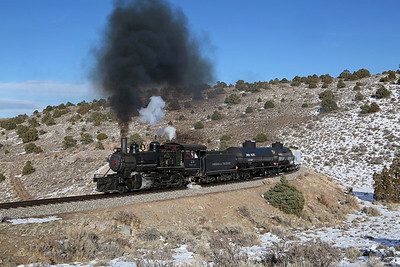 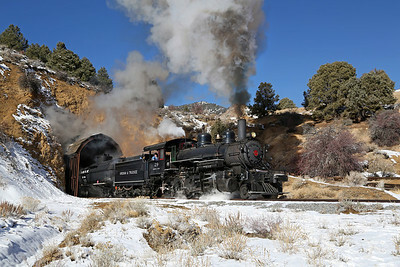 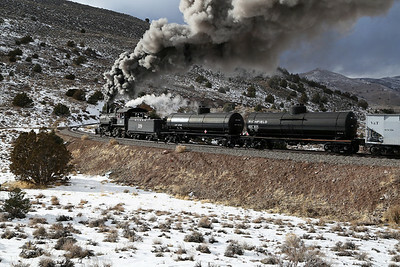 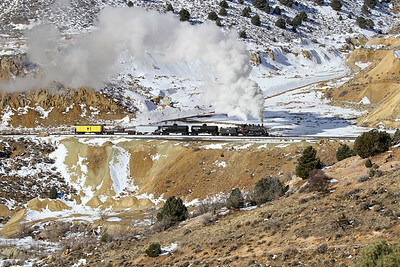 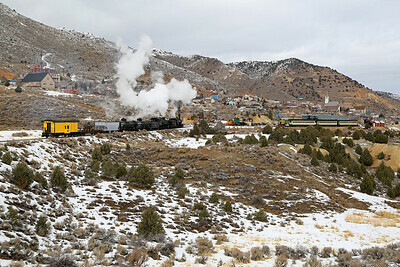 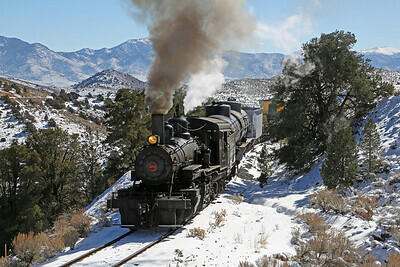 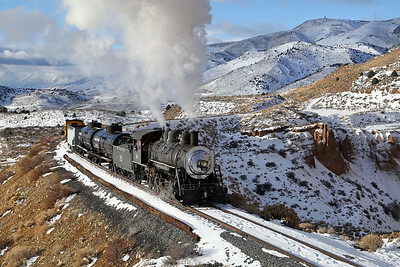 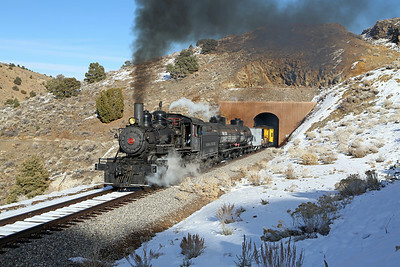 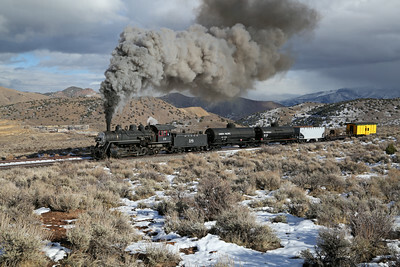 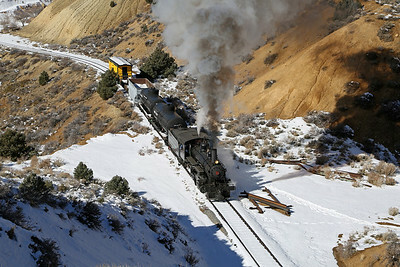 The V&T was reborn as a steam-powered tourist railroad in Virginia City in 1976, reaching Gold Hill (2 miles) by 1991 and Mound House (13 miles) in 2009. 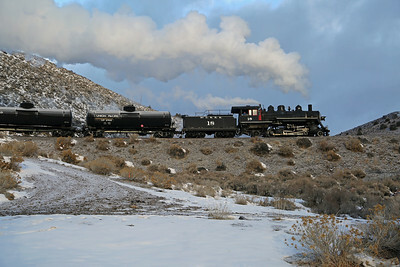 For more information, visit the Virginia & Truckee Railroad Website.